This is a silly, colorful book for emerging readers. Using only a few, easy-to-read words, Long presents 3 stories with fun bird characters. 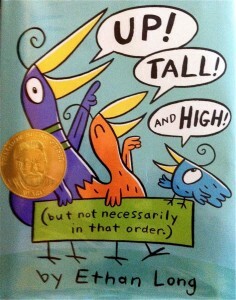 The stories center around the birds, and the words/concepts of tall, high (flying), and up (in a tree). Each story has a fold-up page that reveals a silly twist with one of the bird characters. Up! Tall! And High! is a fun book for children just beginning to read. 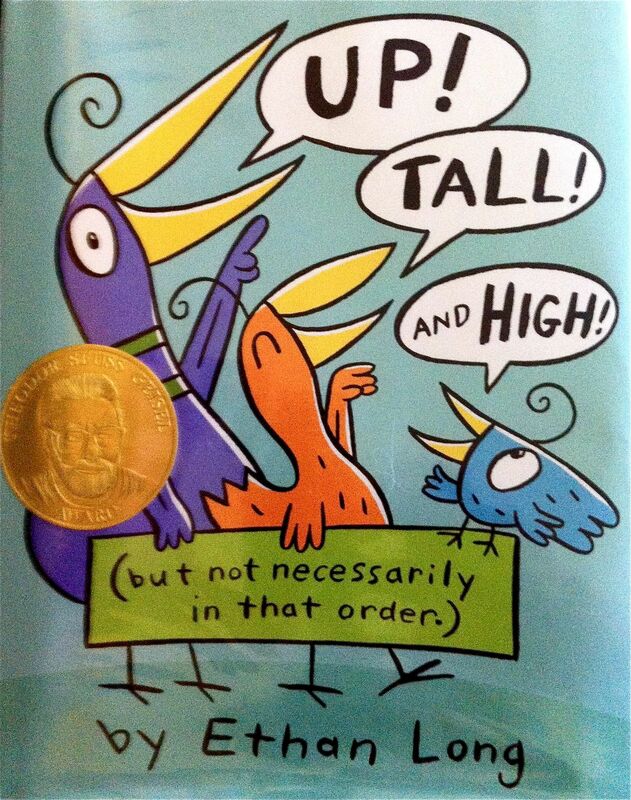 This book won the Theodor Seuss Geisel Award in 2013.